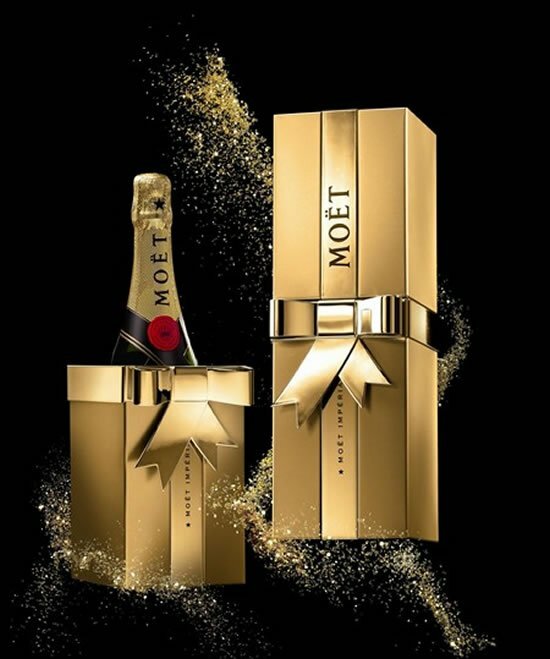 The French do love their champagne which is why Moët Chandon are always reinventing themelves either with limited edition and special occasion bubblies or with pop-up champagne connoisseurs’ academy for the layman. 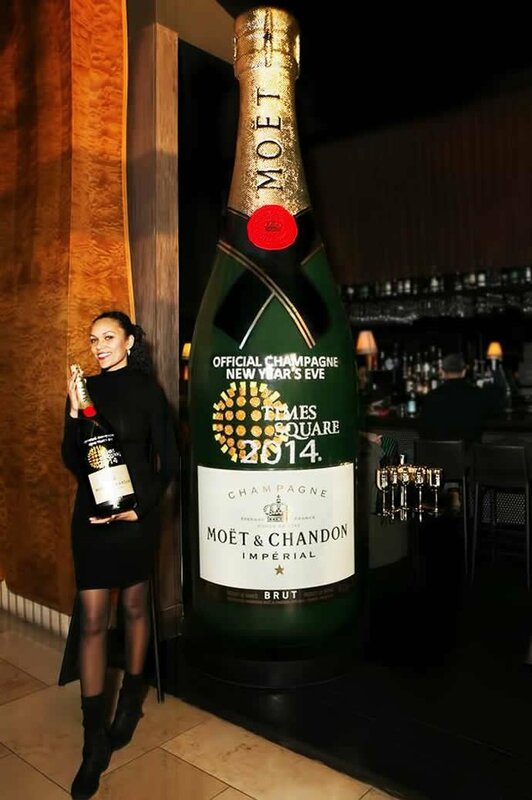 This month was no different thanks to the latest Moet Ice Imperial that has found its place on the shelves, along with the other MC champagnes. 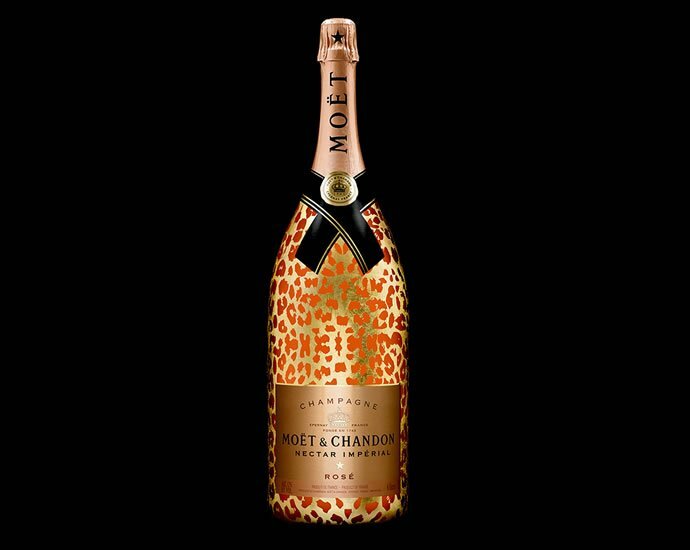 The conspicuousness of the bubbly is that it is a special blend meant to be enjoyed on the rocks; which is probably how it got part of its name. 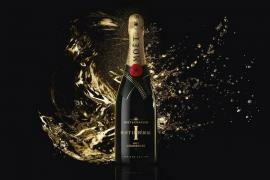 the bubbly has a special assemblage, French for composition, of Pinot Noir, Pinot Meunier and a hint of Chardonnay. 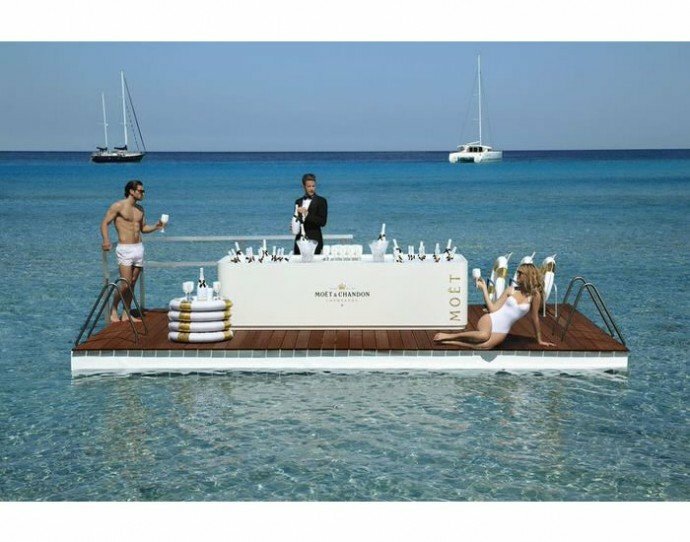 The Pinot Noir grapes, give the drink its fizz and fruity flavors, the Pinot Meunier bring a certain about of zest to the intense fruitiness, while the Chardonnay adds an overall freshness on the whole; which when poured over ice could just about be the best drink for the summer! 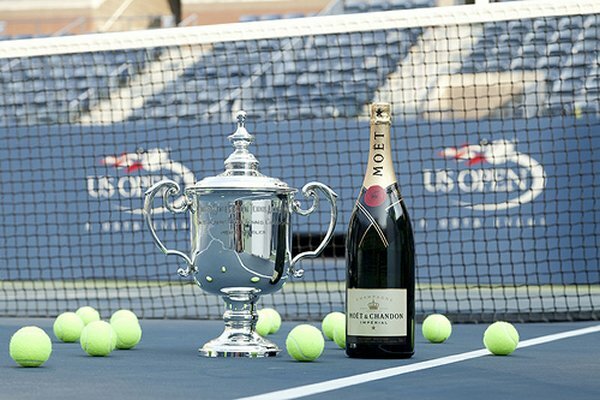 Kudos to Moet’s good timing! 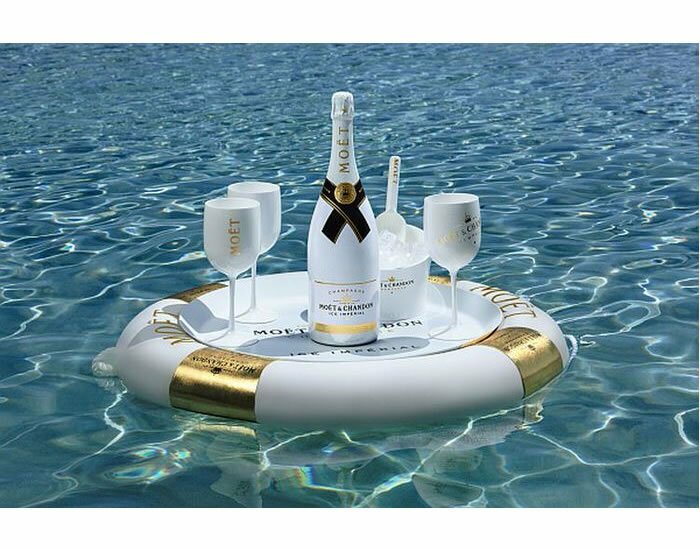 Taking the ‘on the rocks’ theme a little further, Moet Chandon have also created a lavish-looking, gold and white life-buoy serving tray because of course, their precious Ice Imperial needed an equally luxurious pedestal! 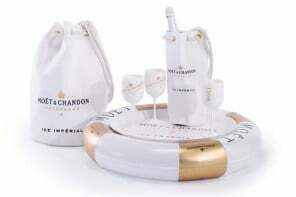 The Moet Ice Imperial is dressed in a white and has the trademark black bow on the body of the bottle. 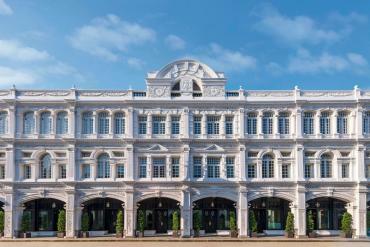 The company hasn’t given out a specific retail price for the bubbly, though the drink is being stocked at selected wine stores around the globe.